Hospitality House is an incredible nonprofit in San Francisco that serves residents of the Tenderloin, SOMA and Mid Market neighborhoods. They are all about “meeting people where they are” by helping with immediate needs, long-term stabilization, and community culture. The organization believes all residents in San Francisco should be proud members of the community. More than 20,000 lives are impacted in a positive way by Hospitality House each year. This grassroots organization is changing San Francisco for the better and making amazing strides to create a better community for all. 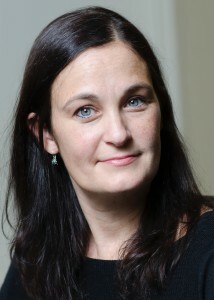 Meet Jackie, the Executive Director of Hospitality House. Here is a glimpse into her life and what it is like running this incredible nonprofit. What is your favorite holiday tradition and why? As cliché as it sounds, one of my favorite things about the holidays is being able to just hang out with people. Whether it is traveling to see family or taking extra time out to celebrate with staff and community members at Hospitality House, I just love connecting with the folks I cherish, talking about what is most important to all of us. I also like making and giving buckeye candies – those little peanut butter and chocolate sweet treats that look like the nuts of the buckeye trees in my home state of Ohio. They remind me of childhood, and people can’t get enough of them! How long have you been in the nonprofit sector? How long with Hospitality House? I have worked in community organizations since I graduated from college, though I have spent most of my professional life – the past 20 years – at my favorite place: Hospitality House. I started here as an employment counselor, became a program director, and then assumed the role of executive director in 2001. This is my dream job because I get to both interact with community members on an individual basis and work on changing the policies and systems that are at the root of homelessness and poverty. What is your favorite thing about running a nonprofit? least favorite? My least favorite thing is having to confront so much injustice and oppression – seeing so clearly that things could be better if only there was the political will, if only more people took action. It can be soul-crushing to be witness to people’s suffering day after day and to know that suffering could be alleviated if only our society considered all people truly worthy of basic human rights. On the flip side, I love spending most of my time in a community of people who are focused on changing this reality and fighting against the root causes of the suffering our communities experience. I like being part of a place that embraces and respects every single person, no matter what. I like being a change agent in the world, even though it sometimes seems like impossible work. I love that Hospitality House is authentic, righteous, and resilient, and I have the distinct honor of being a part of its leadership team. How has Hospitality House changed your life for the better? Oh, there’s so much! I really have grown up at Hospitality House. I started here in my early twenties, out of college, with minimal experience in nonprofits and no background in a community as diverse, vibrant, and intense as the Tenderloin. Things were pretty wild back then, both in the community and in the organization. I experienced right away how privileged my childhood had been, and it was obvious the influence that race and socioeconomic status have on the success people achieve in their lives. I realized how my life would’ve been different had I not grown up White and middle class, and that confirmed for me that there is no work more important than turning this reality around. I don’t do charity work – I fight for social justice. I don’t feel pity for people – I feel rage at the systems that keep people down. Being at Hospitality House dramatically changed the course of my life. I have worked hard and given much of myself here, but there’s no doubt I’ve gained much more than I could ever give to this very special place. Both of the founders of Officengine sit on the board of Hospitality House and are very involved with the community the nonprofit serves. Here are statements from Jason and Matt regarding this wonderful organization. Matt: It’s great to be involved with an organization that cares so deeply for its community. Everyone involved from its peer group to the leadership team is passionately working to achieve a common goal. Hospitality House and all the people who work for the nonprofit have inspired me beyond belief. Jason: They’ve been incredibly successful over the years making a significant impact, and I’m proud to support them! 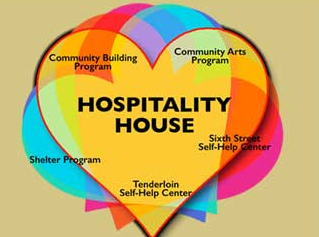 If you are looking for a great non-profit to get involved with in San Francisco, Hospitality House is the one. They are positively impacting San Francisco at the very core and helping them will directly benefit this wonderful city that holds such a special place in so many hearts. Hospitality House and give back to bring positive changes to the community this holiday.